Along with the two Indy cars, there were also two Dirt Track racers built, with Driver’s including: Lee Wallard, Henry Banks and Tony Bettenhausen Sr., whom my Dad gave him his first ride in a “Big” car in 1939. 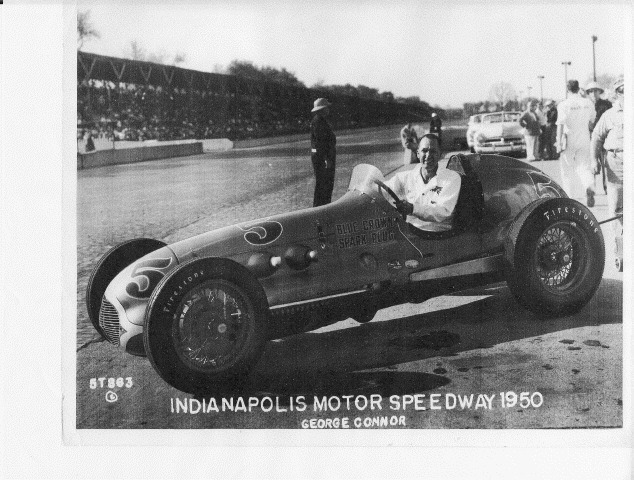 Having become the first winner of three consecutive Indy 500’s, Lou Moore added a fourth car to his stable in his efforts to garner an unprecedented fourth consecutive victory. Bill Holland and George Connor returned in their previous year’s chassis, while new recruits Lee Wallard was entrusted with the brand new rear drive Dirt Car and Tony Bettenhausen (Senior) was given the ex-Rose front drive Offenhauser Champion Car. Meanwhile, Mauri Rose had found a new steed to pilot, taking the wheel of another chassis Emil Deidt had built in 1948 for Superior Oil tycoon Howard Keck, who would campaign several drivers over the years. Rose replaced Keck’s original driver Jimmy Jackson, as the unsung Jackson who’d piloted the Deidt/Offy entry to a pair of 10th place finishes the prior two years, moved onto drive the Cummins Diesel entry. The Indy 500 became part of the Formula 1 Driver’s World Championship between the years of 1950-60 and hence, all participants taking part in the Indianapolis 500 during these years were awarded Grand Prix Championship points for finishing positions 1-5 between 1950-59; and 1-6 in 1960. Thus, while Moore’s four car armada of Connor, Bettenhausen, Holland and Wallard started fourth, eighth, tenth and twenty-third respectively, It was Rookie Walt Faulkner winning the pole position, which came as a total surprise, as Faulkner who’d seemingly come out of nowhere knocked off another surprise pole sitter named Fred Agabashian at the last moment. And in what has become increasingly common in past years, at the time of the 34th running of that year’s Indy 500; for only the second time ever, with 1925 being the first, the race was halted early due to rain. Interestingly, the winning car had originally been built for Meyer & Drake by Frank Kurtis in 1949, before their customers complained about competing against the factory and the car was sold to Murrell Belanger with Tony Bettenhausen as part of the deal. Since he’d been Meyer & Drake’s hired gun, although Tony was still willing to drive the “experimental” race car on the Dirt Tracks, he told Belanger that he wished to drive for Lou Moore instead at Indy as he still believed that the front wheel drive racecar’s held an advantage over the rear drive chassis. Hence Tony recommended Lee Wallard as his substitute... With Wallard going on to victory, while Bettenhausen spun out of the race from fifth place in the closing stages... And thus, once again ‘Tony had given up a winning ride! 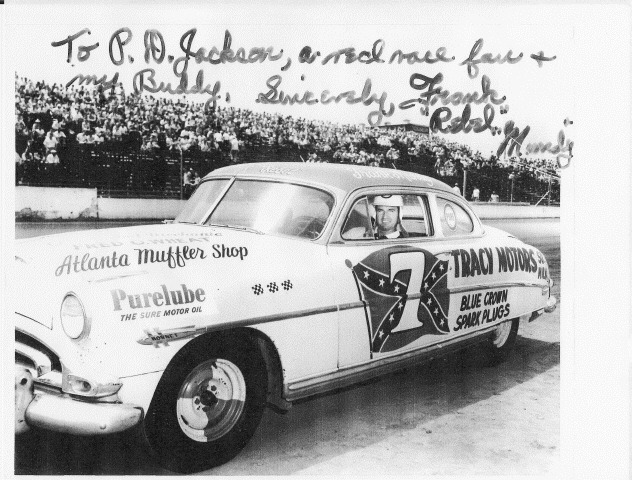 Having been unwilling to break ranks and accept Lou Moore’s ride in 1947. Noting Bettenhausen’s decision to drive once again for Moore, I came to surmise that Lou Moore must have entered four race cars for the Indy 500, albeit this time only two were Blue Crown Spark Plug Specials; one being driven by reigning AAA National Champion Henry Banks, in the No. 1 Moore/Offy, driven the previous year by Lee Wallard. While Bank’s sister No. 22 Blue Crown entry, was the Lesovsky/Offy chassis, piloted by George Connor for a third successive year, these being the two rear drive chassis Moore had previously commissioned. Meanwhile Bettenhausen was aboard the No. 5 Mobil Oil Special and Duane Carter was driving the No. 27 Mobilgas Special, both of these entries being the earlier built front drive Deidt chassis. Thus, with a total of four Deidt/Offenhauser racecars, plus the two aforementioned Blue Crown entries contesting that year’s event, the No. 19 Tuffanelli-Derrico entry driven by Mack Hellings was possibly entered by somewhat obscure Car Owner Gordon Schroeder? While once again Mauri Rose was behind the wheel of Howard Keck’s No. 16 entry, although the front (wheel) “drivers” were now seeming to lose some of their advantage at the Speedway, as this year’s front row was locked out by Frank Kurtis chassis, with Duke Nalon on pole in the revered Novi. Meanwhile, in what seems a strange incident, Bill Holland, having moved to Miami was banned from driving at Indy by the AAA after he’d driven a match race prior to the event which was apparently frowned upon and the AAA didn’t take kindly to this... Issuing Holland a suspension from racing at all AAA sanctioned tracks for 1951! Holland, still not having gotten the memo and continuing to trash the AAA, was further demoralized when his application for reinstatement was denied a second time, being forced to miss the 1952 season as well, before finally being cleared to return to competition at the Speedway in 1953! As apparently Holland had learned his lesson... While his replacement for Moore’s Blue Crown Spark Plug Specials henceforth would become Henry Banks, the 1950 AAA National Champion. Yet, Moore’s team did contest the Indy 500 that year, albeit apparently having reduced his effort from four cars to two, with entries for Henry Banks and Tony Bettenhausen (Sr.) as Bill Holland was still sitting on the sidelines, with the AAA intent to show the racing drivers just exactly who was boss! With Rose’s retirement, Howard Keck had hired west Coast hot-shoe Bill Vukovich to take over and would ultimately bring Keck his long sought Indy triumphs in 1953-54. For the years 1953-56, I have been unable to gather any substantial information about Moore’s whereabouts, and can only surmise he was running the then dominant Hudson Hornet in the Grand National series, as Dean has mentioned that Blue Crown sponsored these cars after Indy. 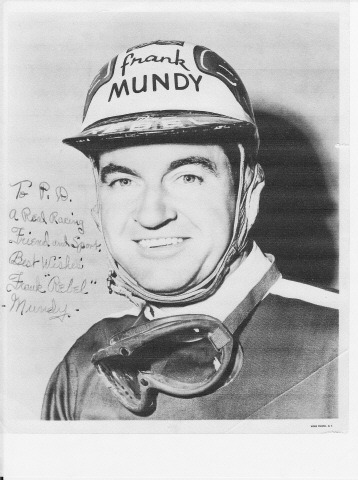 Although I’d never heard of Frank “Rebel” Mundy before, he seems to be quite the character, having driven in NASCAR between 1949-56, although I don’t know if all of the latter year’s were with Lou Moore? As I’ve had a tough time finding anything substantial on this stock car driver, other then he won three races in the No. 23 along with four poles, the majority of these coming behind the wheel of a Studebaker... Having even once won in a rental car that had cost him $25.00 for the day. Mundy’s real name was Francisco Eduardo Menendez and he had once been a chauffer for General Patton during World War II. 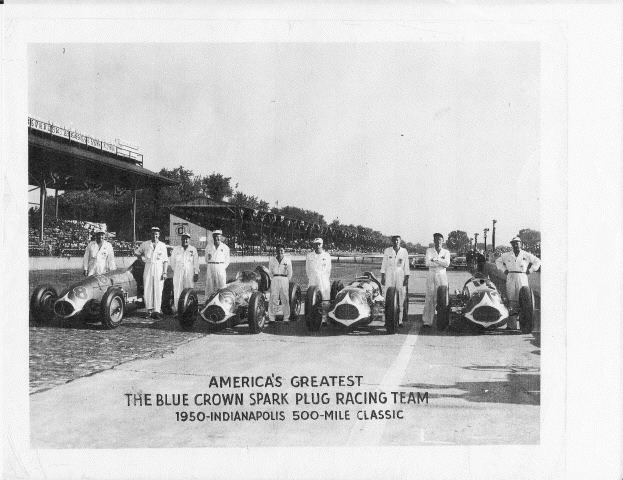 Was Lou Moore’s entry of four Blue Crown Spark Plug Specials entered at Indianapolis the most by a single team owner? THERE WOULD BE NO STORY! By Donald Davidson and Rick Shaffer. Lou Moore; Emil Deidt; Driver Bio’s; IMS Statistics; Lucy O'Reilly Schell/Maserati, etc. Thank You to all the people who contribute to keeping racing history alive. The legendary Lou Moore is my great uncle, my dad's mom's brother, he was bit by speed. He was at the right place at the right time to develope himself and his team to 5 Indy Championships, untouched until Mr. Penske came along. Unfortunately like most racing families of the time, this lifestyle was frowned upon by the women folk who wanted their husbands or in this case sons-in-law, to have a regular life. And here is where this gets real sad, all of his memorabilia was burned, and/or discarded by his wife under direction of mom-in-law. This happened in Lou's mistery days, moving to Florida, to be with NASCAR. He had lost touch with my dad during these times and this was not like him. Growing up, Memorial Day was Indy, hell, May was Indy. We were told very little about our legendary uncle, but in our DNA, we knew there was a cellular connection to this strip of bricks 2 1/2 miles long, far away from California. Now with the internet, this information about Lou, his cars, drivers, and the stories of the races he entered bring his life to a larger than life picture, filling in the gaps from childhood of why we had a magic eye on Indy. So I thank the history buffs, gear heads, throttle jockies, and all for keeping history alive. I also have a lot of thoughts on the direction Indy has taken, for the worse I believe. But my jaded thoughts won't keep me from watching Indy this year or the years to come. If any who might chance and read this and have pictures, footage or links to where info on Lou Moore and the whereabouts of his cars, contact me at tbauer@rmp.com. My name is Tom, named after Lou's son. My dad is Richard Bauer who is the son of Lou's sister Sylvia.